We had a very late and very difficult start with Nina today. She woke up only at 11:15am, and winged for 2 hours before we could dress her and got ready to go out. We decided on visiting something nearby, easy and quick, just a few bus stops away. 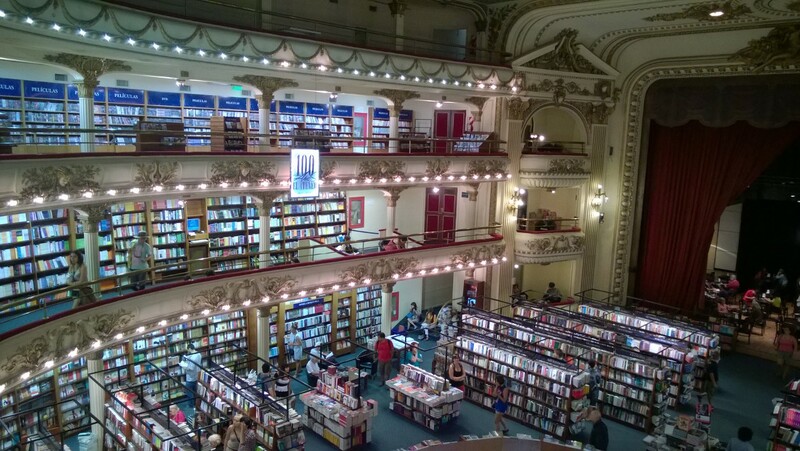 El Ateneo, located on Ave Santa Fe, was claimed to be the 2nd most beautiful bookshop in the world. Although I personally was rather sceptical of such rating – isn’t beauty in the eye of the beholder? – it did trigger some sort of curiosity in me. Well, it certainly deserved its reputation. 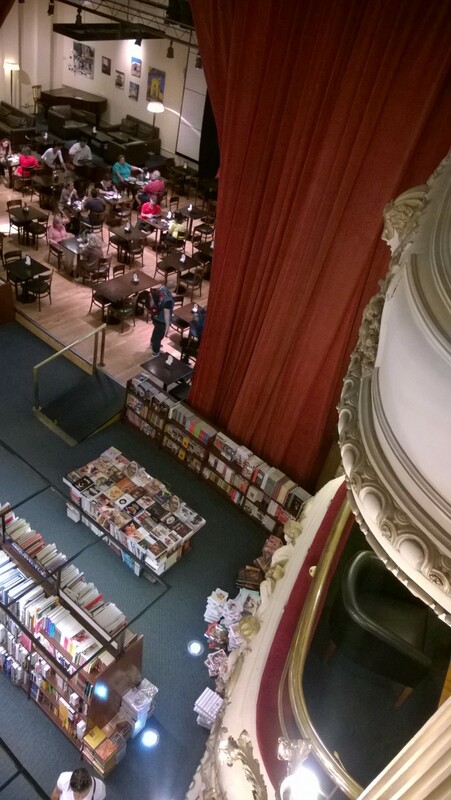 Through a rather humble entry, suddenly I saw a theatre, filled with books. 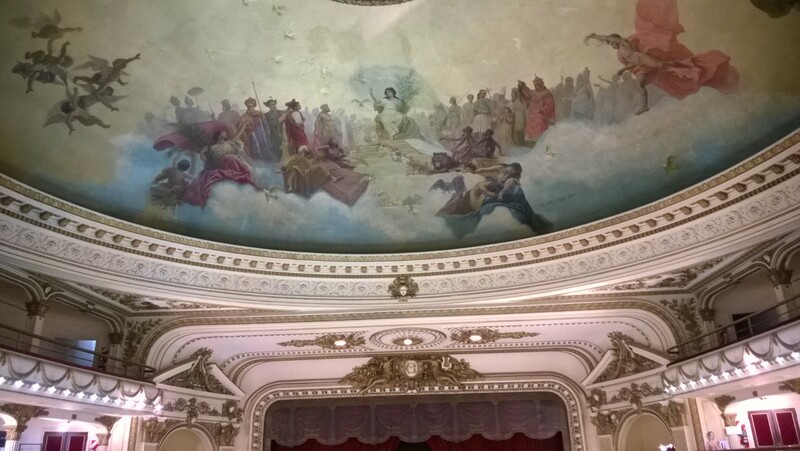 Yes the building was originally designed and opened as a theatre, named Teatro Gran Splendid in May 1919. Only in about a decade ago it was converted into a bookstore. 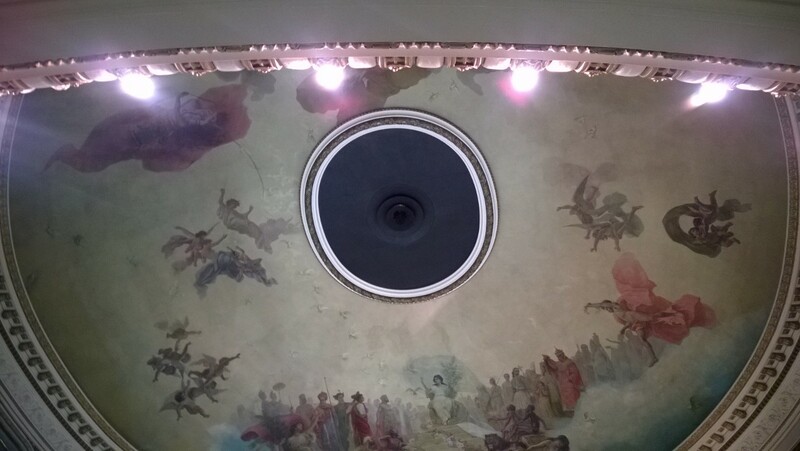 It’s 4 floors high, with thick crimson theatre-style certain , ceiling frescos, roman columns, all in red and gold colour throughout. It reminded me of the Garnier opera house in Paris. Now it’s a book store, filled with books in every corner of three of the floors. The private theatre boxes in the corners were now reading area, making it a very comfortable and quiet corner to browse through what you may want to buy. The stage area was converted into a cafe, making it a cafe of old time atmosphere. 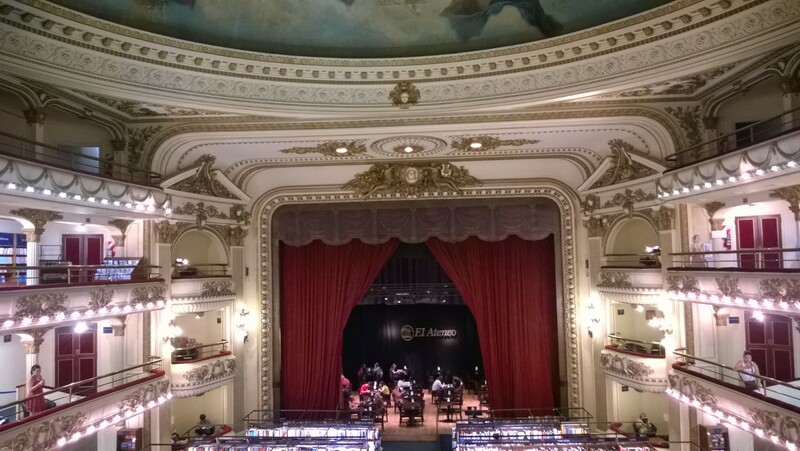 We of course spent most of our time in the junior section, browsing through the kids’ books, in Spanish. 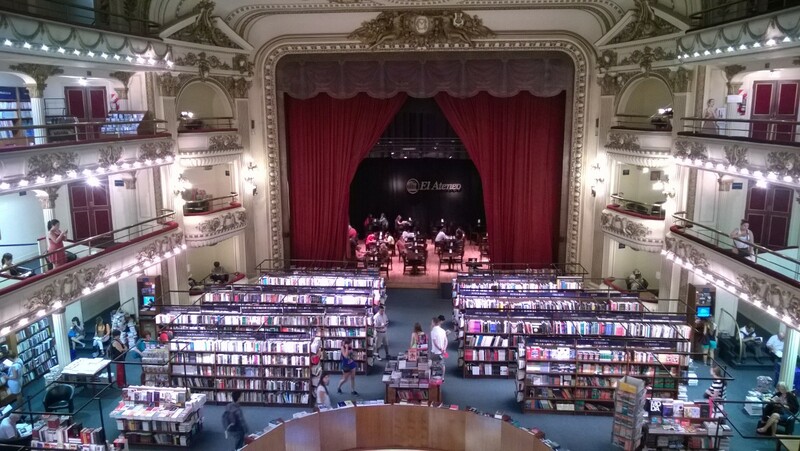 Argentina is said to be one of the highest book-per-capita countries. It’s a lovely and comforting notion that people still read books.